Salt’n’Pepa Foodtruck se změnil v bistro, kde si můžete pochutnat nejen na burgerech rozličných chutí a masových či bezmasých variací. 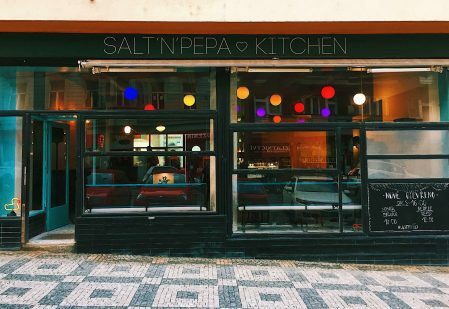 Salt’n’Pepa a gourmet adventure run by a husband & wife duo Radovan and Zuzana from Slovakia. honest food from our home kitchen with the world. Having travelled for quite some time now, we’ve discovered even we need a place to call home. This is not to say we’ve given up on the truck, just opened the Sal’n’Pepa Kitchen…and now you can take a away a piece of our soul on a blue dapple plate or wrapped in a butchers paper.